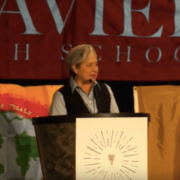 Sr. Norma Pimentel shared reflections on her work at the U.S.-Mexico border as the executive director of Catholic Charities of the Rio Grande Valley during the 2016 Ignatian Family Teach-In for Justice hosted by Ignatian Solidarity Network in Washington, D.C.
On Tuesday, September 5, Attorney General Jeff Sessions announced that the Trump administration would end the DACA program within six months. 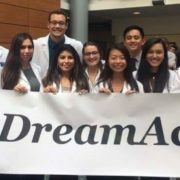 The Stritch School of Medicine at Loyola University Chicago has been on the forefront of support, admission, and matriculation of DACA medical students, and in 2014 became the first medical school in the U.S. to admit DACA recipients, welcoming seven students with this status into the class of 2018. 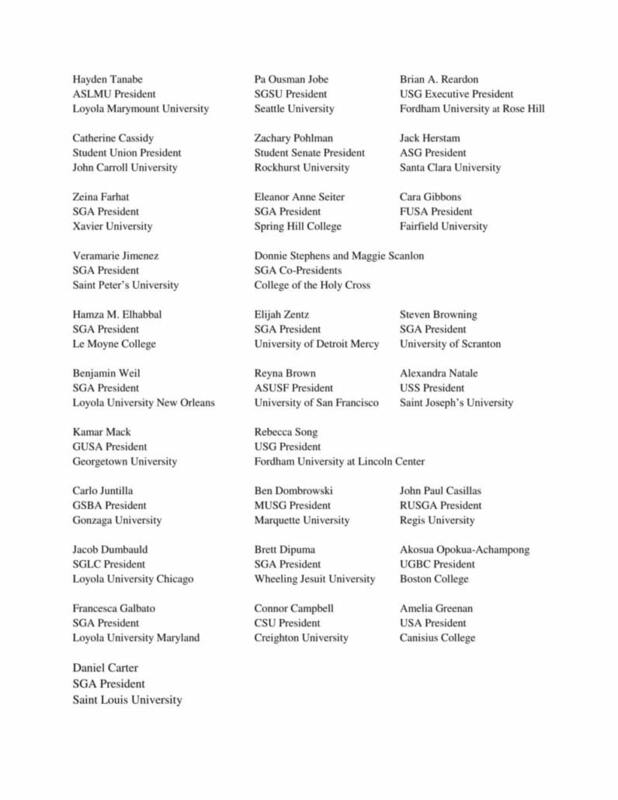 In a sign of solidarity with their peers who are DACA recipients, numerous current Stritch School of Medicine student organizations published a public letter in support of Loyola University Chicago’s commitment to accepting undocumented students. 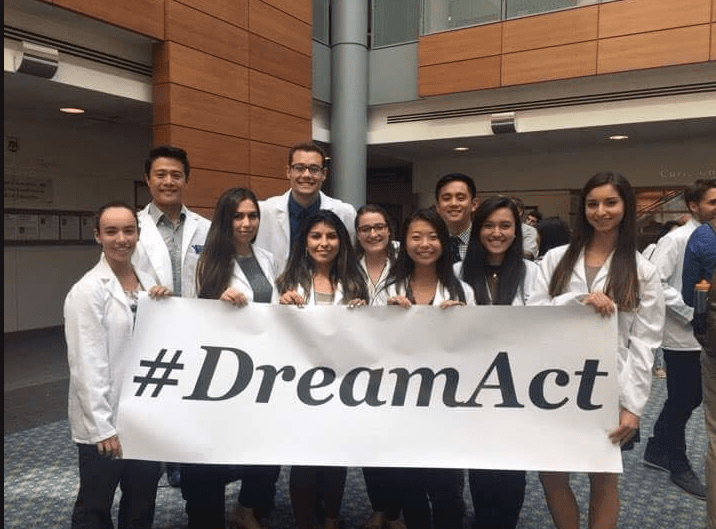 Students at Loyola University Chicago’s Stritch School of Medicine show their support for the Dream Act of 2017, legislation that would provide conditional residency and a pathway to citizenship for DACA recipients, including over 30 students studying medicine at Stritch. The Loyola University Chicago Stritch School of Medicine was the first medical school to openly welcome undocumented immigrants with DACA status to apply and matriculate as students. The recent removal of DACA threatens the future of our 32 colleagues (the most of any medical school in the United States) who have already invested so much in their efforts to improve the health of our country. They have overcome immense barriers, and competed on a level playing field to be members of our academic community. 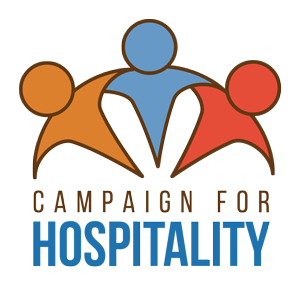 We find it necessary as student leaders to call for support of the bipartisan Dream Act, which would ensure protection of the future and safety of undocumented youth across the United States. Loyola is a Jesuit institution; our mission is founded upon the principles of social justice and service to humanity. In pursuit of this mission, the training of a diverse physician workforce is paramount—people of all backgrounds should be admitted not only to promote equal opportunity, but also to deliver more culturally competent care across the socioeconomic spectrum of patients. Furthermore, our nation is experiencing a profound shortage of physicians, specifically those working in underserved communities—data has shown that underrepresented minorities go on to practice in these settings at significantly higher rates. 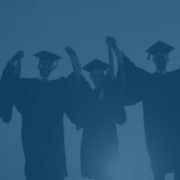 Contrary to persistent efforts made to portray them as criminals or freeloaders, 91% of DACA recipients are either employed or enrolled in school, even though they don’t qualify for federally subsidized student loans. Eligibility for DACA status requires that an undocumented immigrant arrive in this country prior to the age of sixteen and have been in this country at least five years without a criminal record. These individuals are contributing, tax-paying residents of the United States, the only country most have ever called home. In our own medical school and across the country, they make us a better society. It is time for us to be advocates for our patients as well as our colleagues. This should not be a partisan issue; both liberal and conservative-leaning classmates of ours widely support the rights of our undocumented peers. They are the neighbors, classmates, and co-workers that make our communities strong. The Dream Act is a permanent solution for these undocumented individuals which gives them both a path to legal status, and more importantly, protection from deportation. We call upon leaders in the medical community, alumni of Jesuit education, and Americans of all walks of life to seek justice for our peers of DACA status. Now more than ever it is imperative to make our voices heard.